TBTI 'SSF Stewardship' cluster is organizing a special session 'Conservation and stewardship in small-scale fisheries: Practices and lessons from around the world' at the 4th International Marine Conservation Congress, July 31-August 3, 2016, St. John’s, Canada. Those interested in presenting at the session can submit their abstracts by visiting the congress website. When submitting your abstract, please make sure to indicate that the submission is part of a symposium, and provide the symposium ID (SY33-358841). A detailed description of the session can be found below. The deadline for abstract submission is March 7, 2016, 5pm (GMT). 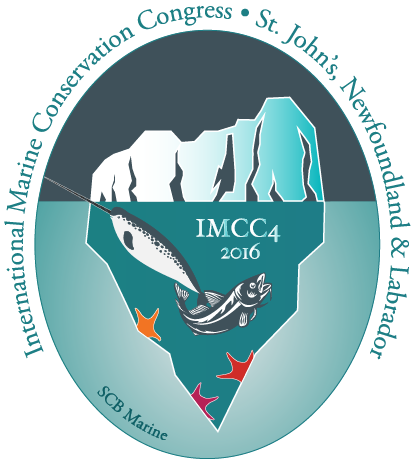 IMCC4 will be held from 31 July - 3 August 2016 at the Delta Conference Centre, St. John's, Newfoundland & Labrador, Canada (YYT). For more information about the registration and the congress visit the congress website. Session organizers: Dr. Tara Whitty and Dr. Ratana Chuenpagdee. The information shared in this session will contribute to the TBTI 'SSF Stewardship' research cluster. Presentations will communicate information on key questions related to these communities and stewardship, which will set the stage for a post-conference working meeting on these questions and findings. Such information will be incorporated into the following products with TBTI: an e-book based on individual contribution of the SSF gear impact assessment, and distributed through TBTI and other research networks; blogs for TBTI and the Small-scale and Artisanal Fisheries Research Network featuring the presentations in this session, distributed through social media accounts; a peer-reviewed paper on the relative impacts of small-scale fishing gear on ecosystems.